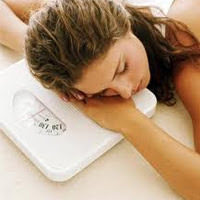 Ok, so it’s not really breaking news that when you sleep less, you tend to gain more weight. Sleep deprivation has been strongly linked to stress eating and a tendency to grab meals that are high in calories and fat. However, it appears that the association is stronger. In 2010, the medical journal Annals of Internal Medicine published a study which revealed that dieters who are not getting as much sleep as they should lose less body fat compared to dieters who clock in enough snooze time every night. This indicates that regular sleeping hours can make your diet more effective—and it is partly because your metabolism tends to be sluggish when you are sleep deprived. It is also explained as a hormonal change: loss of sleep results in an increase in the production of the ghrelin hormone, and a decrease in the secretion of the leptin hormone. Ghrelin tells the brain to signal your stomach to eat more, while leptin signals the brain to feel full and stop eating. Obviously,more ghrelin and less leptin creates a perfect storm for overeating. There are also earlier studies which examined the relationship between obesity and sleep duration. Dieting subjects who were experiencing restrictions on the length of time that they were asleep lost more muscle than fat. One such study used several test groups of healthy adults who were dieting to lose weight. The proponents of the study exerted enough controls to keep all other variables constant throughout all groups. The subjects who were able to get an average of 8 ½ hours of sleep each night experienced weight loss that was 50% fat and 50% muscle. However, when the subjects were reduced to less than six hours of nightly sleep, the weight loss was composed of 75% muscle and only 25% fat—translating to 55% less fat loss. Some muscle loss is only normal when you go on a diet, but still, the goal is to keep as much muscle as you can while getting rid of fat. You can do this by eating protein-rich, low-fat food and getting enough sleep every night. An NCHS (National Center for Health Statistics) study done a few years ago found that irregular sleep patterns are one of the factors for childhood obesity and other metabolic issues. The NCHS investigated the sleeping patterns of 308 healthy children ages 4 to 10 and they found that a large percentage of the subjects were not getting the optimal amount of sleep for their age, and they often suffered from erratic sleep. For children ages 4 to 10, doctors agree that the recommended amount of sleep was between nine to ten hours a day. The farther a child was from this figure, the greater the likelihood of obesity. Children who got less than 6 ½ hours of continuous sleep, or has irregular sleep patterns, also showed some health issues like altered insulin levels, altered LDL levels, and altered C-reactive protein. All of these are indications on increased cardiovascular risk. Sleep well to lose weight! Read The Sleep Doctor’s 4-Week Program to Better Sleep and Better Health by Dr. Michael Breus to get deeper understanding on how better sleep results in better health for you. Patric Seeley is a Global Brand Manager at Mattressnextday where he sells single mattresses and king size beds direct from leading brand manufacturers, making our prices the lowest you’ll find.